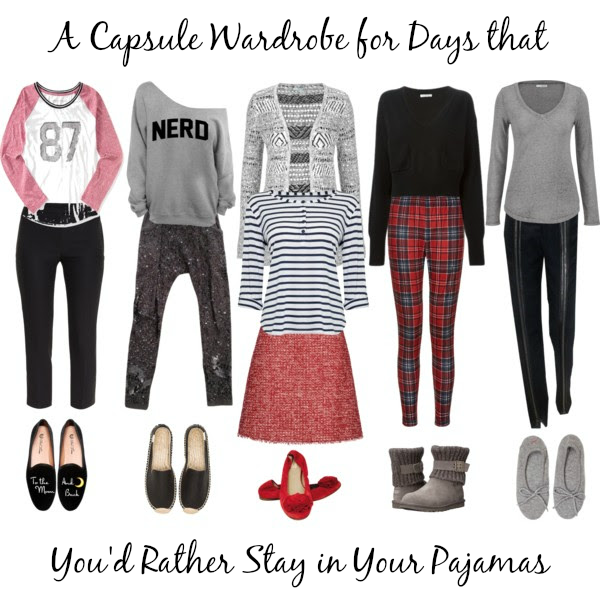 You know those days you have a ton to do but just want to stay in your pajamas? This is a capsule full of cozy items ready to mix and match in the most comfortable way. Soft shoes, loose-fitting shirts, cozy sweater, and flannel-style leggings give you the feeling of pajamas with a look that's put-together. You can meet your day with confidence and coziness! What's your favorite comfy outfit (and does it involve leggings)?